$219 would be a really good price for a 325 watt, 5 qt. 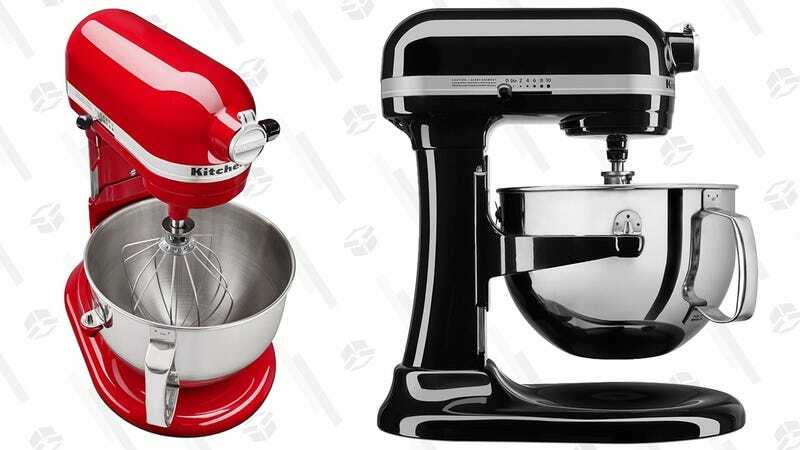 KitchenAid Artisan stand mixer, but today, that gets you a 6 qt. Professional model with a 575 watt motor that can stand up to the thickest doughs. This price is the best we’ve ever seen on this model, and it’s available in three colors, but it’s only available today, or until sold out.